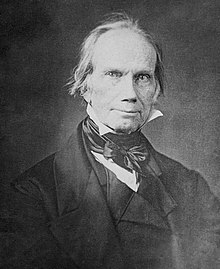 For other people named Henry Clay, see Henry Clay (disambiguation). Henry Clay was born on April 12, 1777, at the Clay homestead in Hanover County, Virginia. 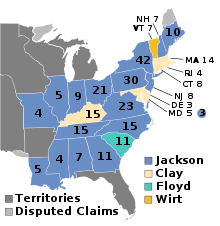 He was the seventh of nine children born to the Reverend John Clay and Elizabeth (née Hudson) Clay. His father, a Baptist minister nicknamed "Sir John", died in 1781, leaving left Henry and his brothers two slaves each; he also left his wife 18 slaves and 464 acres (188 ha) of land. Clay was of entirely English descent and his ancestor, John Clay, settled in Virginia in 1613. [page needed] Clay was a distant cousin of Cassius Clay, a prominent anti-slavery activist active in the mid-19th century.